I grew up wearing Old Spice. My dad wears it to this day, and there has always been something nostalgic about their aftershave bottle. Old Spice has done a fantastic job re-branding themselves with their ingenious commercials, online ad campaigns and really selling the idea of rugged manliness with just the right amount of tongue and cheek. 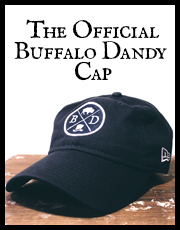 Their recent fragrances aren’t really for me, and if I hear someone say “swagger” one more time I just might loose it. But this… this is one of the greatest things I’ve ever seen. I’ve never really liked how my deodorant looks just sitting on my dresser, and apparently Old Spice feels the same way. So why not disguise your deodorant (which surely has a few armpit hairs stuck to it and looks gross) with something more manly – LIKE A FREAKING BEAR!!! 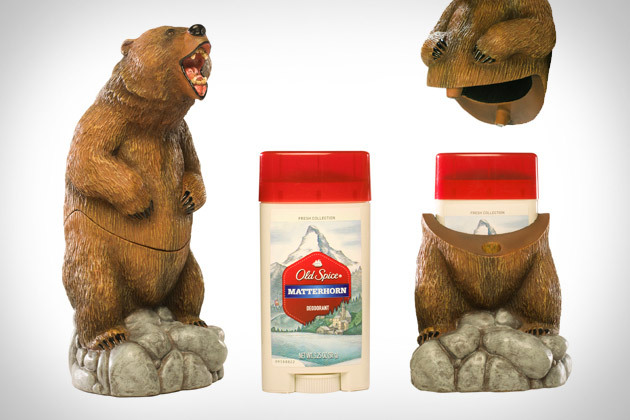 Available in limited quantities on oldspice.com, this is the perfect item to kick off your Cyber Monday.